The root of the whole long lasting conflict is Ethiopia and Eritrea's fight for each of their own cultural and traditional diversity. When Eritrea was given to Ethiopia by the United Nations, Ethiopia banned many Eritrean traits such as their language, which infuriated the Eritreans and caused the conflict. There are actually two ways that this conflict takes form in. In the early stages, when tension was building up before the actual clash, the conflict took form in discrimination against the Eritreans. They were badly treated by the Ethiopeans, and were stripped of their own language. 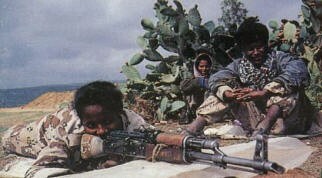 Then, Eritreans started a rebellion against the Ethiopeans, which is where the conflict starts to take in the form of open violence. Killing each other for their own cause, until recently the violent conflict has died down a bit to take in the form of slight tension between the two ethnicities. 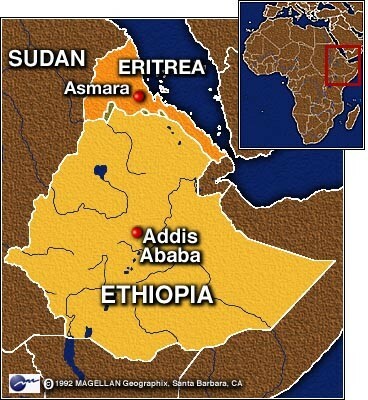 The conflict between Eritrea and Ethiopia were contained within the two countries. Fortunately, this conflict did not spread over to other countries on the boundary, and kept the fight a little more kept within itself and not globalized. This ethnic conflict between the countries Ethiopia and Eritrea has been going on for 30 years, starting from 1961 to 1991. 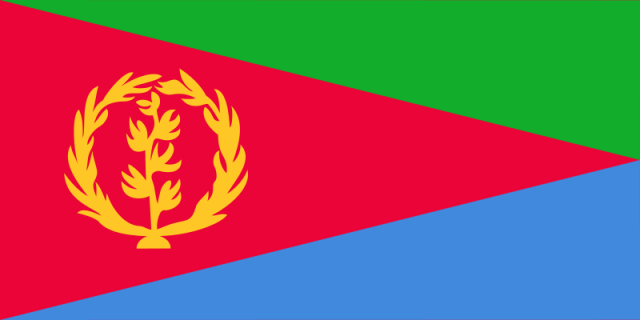 In 1961, the Eritrean rebellion for independance started, but it wasn't until 1991 when Ethiopia yielded in defeat to the rebels, thus allowing Eritrea to once again become an independent country in 1993. After that, Ethiopia and Eritrea flared up again in 1998 due to debates on the border. 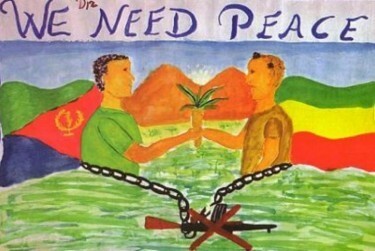 Even though the rebellion ended in 1991, there are still some conflicts between Ethiopia and Eritrea. The conflict has been manifested or understanded by the world as a conflict between two countries or ethnicities over one group's independence. The Eritrean rebellion that has caused almost all of the violent conflicts between the two countries was started because the Eritreans wanted to become and independent country and avoid the controlling grasp of the Ethiopians. Back when World War 2 ended, Eritrea, that was previously an Italian colony, was given to Ethiopia by the United Nations. The UN expected to see Ethiopia share authority and culture with the Eritreans, but instead they seeked to dissolve the Eritrean Legislature and ban their language. Angered they rebelled against Ethipia, and finally became an independent country. After that, there are still conflicts, which are understood by people as boundary disputes. Their conflicts are, In my understanding, violent quibbles that go on between two enemies that go far back. This conflict is unnecessary and is hurting many people. 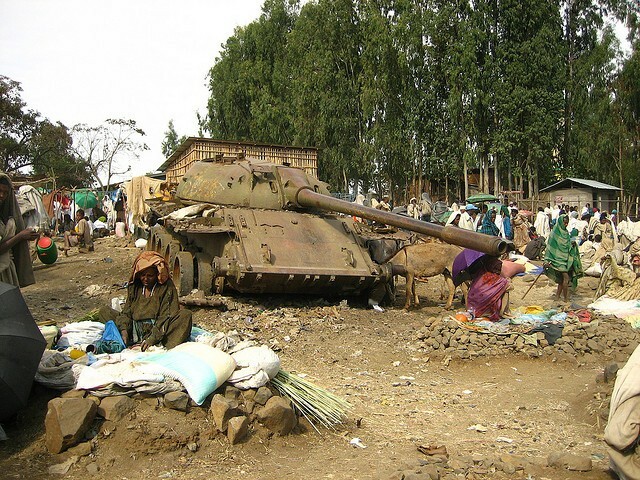 Many people have been greatly affected by the conflict between Eritrea and Ethiopia. 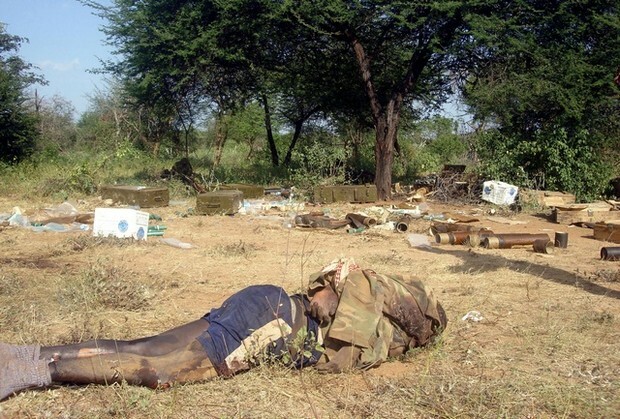 This conflict is an open violence, gruesome rebellion war that has gone on for more than 30 years, so obviously there are many casualties from the war. No one is for sure how many casualties there are exactly, for both sides of the conflict either exaggerate or lessen the number of casualties. However, it is estimated that about 77,000 people have died on both sides of the war. Because of this high number of casualties, many people have lost their family member, whether it be the son or the father, to the war. This also gives them a critical blow financially. As well as the effect that death has on the people, there are also massive forced migrations that happen due to the war. 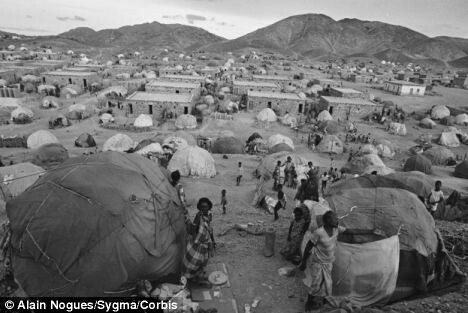 For example, it is estimated that 665,000 Eritrean refugees fled to neighboring Sudan due to the war.